Katie Stow, Harper’s Bazaar, Oct 17, 2017. The nuptials of Prince Harry and Meghan Markle seem the stuff of a regressive nightmare, a progressive’s conversion to the forces of reaction and misplaced adoration. As a social statement, it is conservative and defiantly anti-modern. Nevertheless, networks such as CNN insist that the Hollywood actress is the quintessential opposite: a feminist figure, a modern statement, a potential reformer. The network reported her own remarks of being “proud to be a woman and a feminist” and her determination to make a “bold feminist statement” in walking down the aisle unchaperoned. The prince who meets the commoner, albeit one birthed in the Hollywood dream bubble, has been the logical extension of that other “commoner” myth sired from the legend of Princess Diana. It was soon forgotten that Diana was herself an aristocrat rather than being the People’s Princess as designated by the New Labour of Tony Blair. The response to her death had a certain pathological, even totalitarian quality to it, leading the late Christopher Hitchens to remark that Britain had become, for a time, a “one-party state”. The tension between modern trends and conservative institutionalism was only artificially demonstrated at St. George’s Chapel in Windsor Castle. Black spiritualism tagged on to exaggerated feminist values mixed with traditional forms certainly gave an impression of difference, but these were daubs rather than extensive splashes. 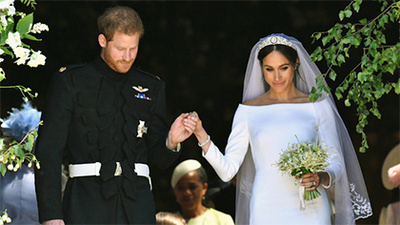 The trick worked for some, not least the selection of Curry as wedding pastor, “an important move,” assessed Jonah Waterhouse, “as Meghan Markle is the first notable African American member of the British royal family.” Markle, it has already been forgotten, is not there to inflict change upon the institution of monarchy, but be changed by it.